As editor-in-chief, commissioning editor and contributing editor for magazines, websites and supplements, I’ve helped shape and style many publications, curated and produced characterful in-the-know content, and helped brands convey their personality through the right voice. While I was editor-in-chief of Mr & Mrs Smith, we published about a dozen coffee-table guidebooks, the first was Mr & Mrs Smith: UK and Ireland Collection, October 2003, and most recently, Mr & Mrs Smith: Italy, October 2011. I've learned the art of great brand journalism – not something all writers understand. Engaging copywriting for effective content marketing combines evocative journalism and quality copywriting, with the aim of getting results. The most important thing for any brand? To sound human. Skip the corporate speak and tell don't sell. It’s essential that readers feel that there’s an engaged and engaging and authoritative person behind every article, tweet, post, picture or pin – not a marketing machine or a multinational company. 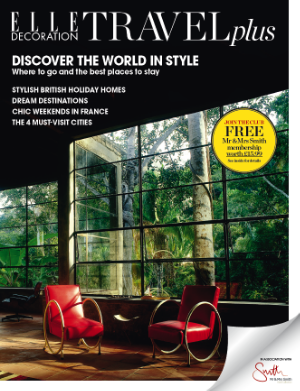 Magazines I have edited for a hotel group: the series of journals for LUX* Resorts and Hotels. For the first two editions of LUX* magazine, I worked closely with & Smith Design, and photographer Mark Read. Curated for style-seeking globetrotters, this beautiful lifestyle magazine includes inspiring and engaging features on travel, culture, fashion, food and technology. I love working on AMAN's directories and brochures – it's as inspiring to craft their stories as to fantasise about booking a holiday in their remarkable resorts.